Horse riding in Beijing? Some would not imagine that Beijing has numbers of equestrian clubs in the suburbs, easily accessible for the city center. 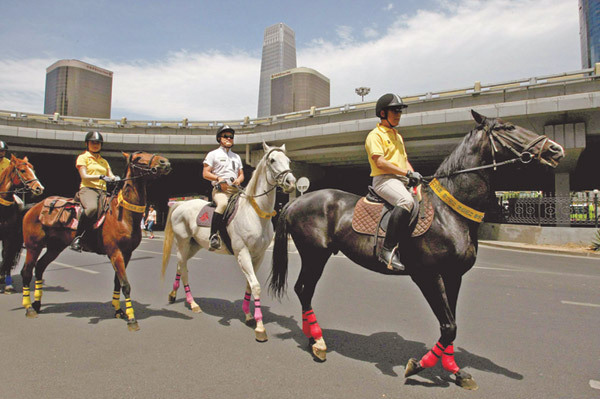 This article may be helping families or individuals moving to Beijing and worrying about being able or not to practice their favorite sport: Beijing has number of sports facilities including equestrian sports. However, there is a “but” to this good news, as horseback ridding in Beijing is rather expensive. 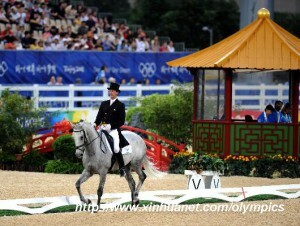 We will be sharing fees of equestrian clubs around Beijing. In fact, equestrian clubs in Beijing and in China have to bear higher horse maintenance costs considering that some products are not as widespread as in Europe: as a result, horse riding is more expensive than in Europe or Western countries. For these reasons, in China, horseback riding is considered as a hobby for rich Chinese people and expats who are living in Beijing. We should also take into account that equestrian practice is quite recent in China and the majority of equestrian clubs only show jumping, with a less number teaching dressage and harness riding. However, horseback riding in Beijing can be a beneficial and healthy physical activity both for children and adults and anyone living in Beijing, as you need to breathe fresh air, relax to help you to bear all the 压力(Yālì, pressure in Chinese) of your daily life. Equitation practice has even therapeutic effects. In addition, even if some still believe that horseback riding is not a sport, this physical activity has nothing less than other physical activities. Indeed, this is a physical activity that needs deep mental and body concentration and can improve body strength, balance, athleticism and mental agility. 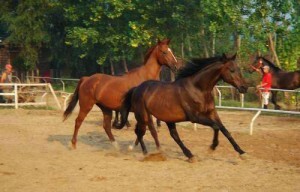 Therefore, if you are living in Beijing and you are looking for some physical activity or extracurricular activities for your children, or if you are an experienced rider and you are willing to keep practising horseback riding, we are sharing a list of equestrian clubs for you to find out the most convenient place ! If you didn’t bring all your equitation equipment and accessories from your home country, you can buy any kind of equestrian product from this shop (English speaking staff). Located in Changping district. This club is member of FFE (Fédération Francaise d’Equitation). French, English and Chinese speaking and nice atmosphere. How to get there? Ideally by car, as it takes over 2hours to reach there by public transportation from city center (Subway Changping Line towards Nanshao, then bus 昌52路towards 昌平北站). Located in the Chaoyang district, near from the city center,this equestrian club covers an area of 150 acres in a wonderful environment with water park, woods and flowers. The many experienced bilingualcoaches will offer you basic courses if you are a beginner as well ascompetitions for more experienced riders. There are a lot of foreign horses from Germany, Denmark, Netherland and England. Fees: The price for one lesson of about 45 min is of 780RMB plus an extra of 100-200 Rmb for coach fee per course, but if you get a member card the price is of 280 RMB. How to get there: line 15 subway station Sunhe 孙河 (exit D), then take the bus 857 and stop at 顺黄路东口Shunhuangludongkou, then you should walk for 1 km until you reach your destination. This equestrian club is located in the Shunyi district, you can get there through the subway station Shunyi on the line 15, it has 2400 square meters of indoor space and offers English riding styles, equestrian therapy for all kinds of rehabilitation process as well as beginner and professional courses. They don’t have English-speaking staff. Fees: The price for one year of elementary course is 6800 元. How to get there: line 10 subway station Shaoyaoju 芍药居 (exit B), walk for 200 metres and take the bus 942 and stop at xiwanglu西王路, then walk for 730 metres until you reach your destination. If you have problems with the directions, ask the bus driver to tell you when to get off the bus. 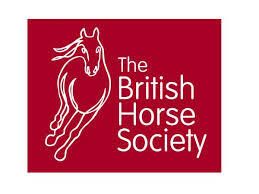 Located in the Chaoyang district, it is the only British Horse Society Approved Club with about 130 horses, including many imported from Europe, and more than ten years of experience in equestrian sports. It offers domestic and international competitions such as FEI World Cup, National Championship and National Elite Competition, etc. Equuleus Club provides riding lessons, show jumping and dressage for both adults and children as well as lessons for children of 4-6 years, for different levels. It has English instructors. How to get there: Line 15 subway station Nanfaxin 南法信 (Exit D), then walk for 200 metres take the bus 100 and get off at 万万树 Wanwanshu, then take the bus 13 and stop at 西王路, walk for 400 metres until you reach your destination. This equestrian club has European trained pony that offer lessons to youths from 5 to 15 years old as well as competitions and lesson for more experienced riders. They have English speaking staff. Fees: the price for one lesson of 45 min for children and adult is of 1000 RMB. How to get there: line 14 subway station zaoying枣营 (exit D). By bus,419/677/621/985/682bus stop zaoying north. Located in the Chaoyang district,this equestrian club offers elementary courses of English style, for children who have never experienced riding a horse. They have English staff. Fees: The annual fee is of 6800元. How to get there: line 15 subway station Maquanying 马泉营(exit C) then take the bus 988 and stop at Mayuanqing 马泉营, then walk for 300 metres until to arrive. Address: 海淀区苏家坨镇温北路 Zhenwenbei Road, Sujiatuo Town, Haidian District, Beijing . Located in the Haidan district, it offers international lessons to children, teenagers and adults as well as international competitions. It believes that learning to go horseback riding is very useful for children who will be thought not only how to ride a horse but also how to understand and come into contact with it. Their staff speak only a bit English. You can have a try lesson of 10 minutes for free. Fees: The annual fee is of 7500 元. How to get there: line 4 subway station Xiyuan西苑 (exit C1), then walk for 300 metres and take the bus 968 and stop at JingjiZaoyong fang 经济造用房 and then walk for 1000 metres until you reach your destination. Mustang is an equestrian chain club which include equestrian sports, accommodation, leisure catering, training rooms, multi-purpose hall etc., with American style decoration. It is located in the Haidan district. It has established cooperation with China Equestrian Association, China Horse Industry Association, China Agriculture University, Xinjiang Agriculture University. They don’t have English speaking staff. Fees: The fee for two months is of 2800元. How to get there: line 10 subway station Suzhoujie 苏州街(exit A) , then take the bus 651 and stop at Liulincun柳林村, then walk for 300 metres until you arrive. Located in the Tongzhou district, it is a private first-class country club, the ideal place to learn the sport of polo which has deep historical roots in China. The club also has a polo clubhouse, a boutique art hotel, tennis courts, swimming pools, lounge bar etc. How to get there: line 10 subway station Sanyuanqiao三元桥（exit c1), then walk for 300 metres and take the bus 850 or 935 and stop at Gang shancunnan 岗山村南 then take the bus 1 and stop at Lai yin wan 莱茵湾and then walk for 300 metres until you reach your destination. Located at the foot of the Great Wall in Beijing Badaling, Great Wall Sun Valley Equestrian Club was founded in December 2000. Fees: 120 to 200 RMB per hour. Located in Shunyi District. The equestrian park is also home to a large golf course. How to get there? Take No. 322 Bus at Sihui to Dongguan Bridge Stop in Tongzhou District. If you are running an equestrian club in Beijing or if you have another recommendation for equitation practice in Beijing and it is not listed, kindly leave us a comment! Another club is not mentioned. 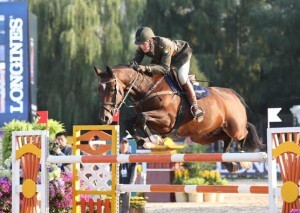 HEC, Huijia Equestrian Club, located in Changping district. This club is member of FFE (Fédération Francaise d’Equitation) so that it is possible for my daughter to continue the cursus started in France and get her «galops». 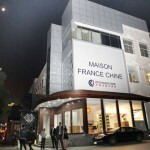 French, English and Chinese speaking and nice atmosphere. Many thanks for sharing this contact. I am adding it immediately to the article!